Certainly a must for all painting professionals, swivels provide full rotational movement between a high pressure hose and spray gun. Regardless if you are using a Wagner spray gun, Graco airless spray gun or air assisted airless spray guns, a swivel will relieve the tension in the wrist of the painter from the first spray coating to the last. Swivels maintain a high pressure seal and should be used with all industrial spray guns. In addition, swivels can be used between lengths of high pressure hoses, pneumatic hose, siphon tubes as well as other finishing equipment. Swivels are lightweight in design, which allows for movement in difficult to access areas while providing a kink free high pressure hose section. Due to the importance of the high pressure gun swivel, several have been developed and tested with the painter in mind. Whether you are using industrial paint sprayers or an air assisted airless sprayer, you can find the right swivel that best fits your needs. 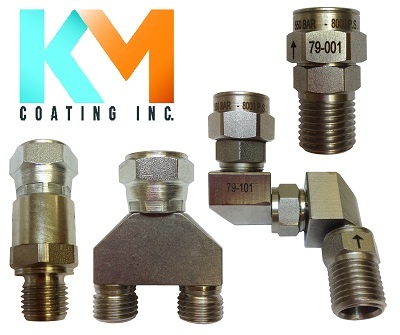 KM Coating also offers high pressure fully stainless steel re-circulating Y-blocks. Y-blocks can be used with various kinds of finishing equipment for several different applications. All of our Y-blocks can be used with hot spray systems for airless spray or air assisted airless uses. They can be used to mix materials at the spray gun, used as a two outlet adaptor and used for paint circulation, which reduces the risk of contamination in the hose. 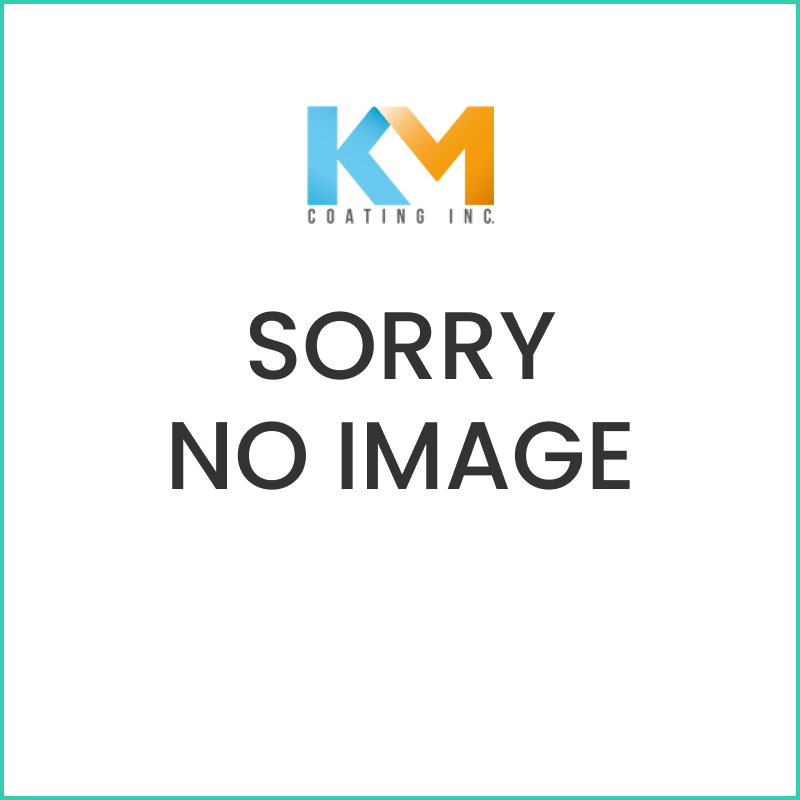 Combines high pressure swivel and inline filter. Disc Filters sold separately. Turns easily under high pressures. Maximum Working Pressure is 7,500 PSI. Compact, lightweight and completely stainless steel construction. Turns easily under low and high pressures. Ideal for Air Assisted Airless uses. Maximum Working Pressure is 8,000 PSI. Turns easily under low and high pressures. Complete 360° movement on 3 axes. Fully stainless steel construction. Maximum Working Pressure is 8,000 PSI. Carbon steel construction. Maximum Working Pressure is 7,250 PSI.